Epcot is a great park that celebrates many different cultures year-round. However, the Festival of the Holidays, formerly Holidays Around the World, is a special opportunity to explore Holiday customs and traditions from around the globe. 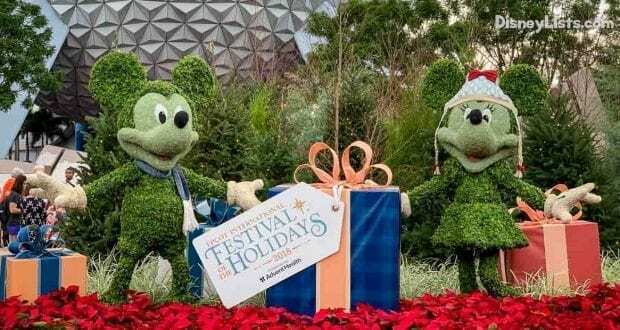 The Epcot International Festival of the Holidays runs now through December 30, 2018, and immerses guests in the wondrous sights, sounds and flavors of the season. Read below to discover everything this holiday festival has to offer. Chip and Dale are collecting ornaments for their Christmas tree. To get started, simply purchase a map and sticker book from select merchandise locations including Pin Central, Disney Traders and World Traveler at International Gateway. As you travel around World Showcase, be on the lookout for Chip and Dale as they gather ornaments from holiday decorations in each World Showcase pavilion. Once you spot them, add the corresponding ornament sticker to your map. 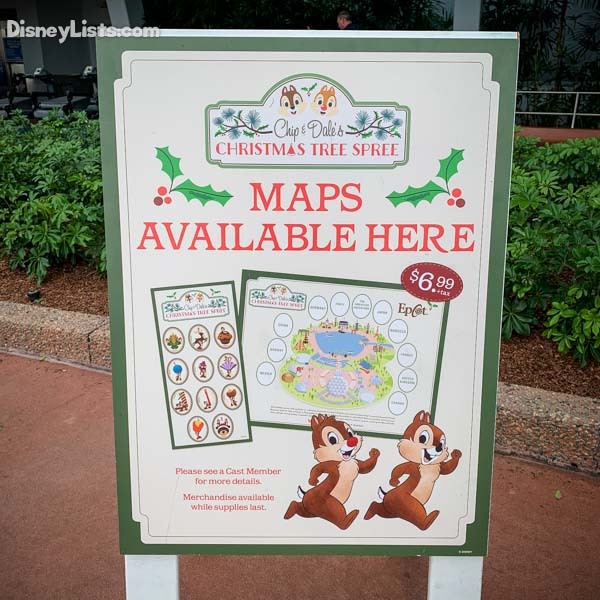 Then, take your completed map to Disney Traders and exchange it for a festive surprise, courtesy of Chip and Dale! 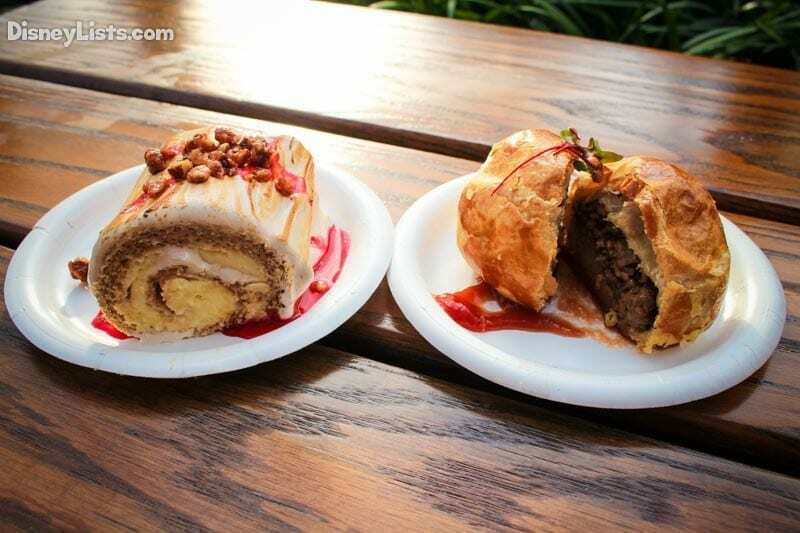 Over the past few years, Epcot has expanded its culinary holiday offerings during Holidays Around the World from single dishes to holiday kitchens with multiple choices of food and drink. There are so many amazing holiday kitchens each bringing the flavors of the season to life. Kitchens are open daily during the festival, from noon to 8:00 pm. We highly recommend stopping by the Yukon Holiday Kitchen in Canada. We really enjoyed the Maple Buche de Noel (maple mousse rolled in gingerbread chiffon cake with cranberry sauce and pecan crumble) and the Traditional French Canadian Tourtiere. Please note that the availability of some holiday kitchen offerings may be limited. All menu items are subject to change without notice. To see all of the Holiday Kitchen menu boars with pricing click here to see our highlighted Instagram Story. New this year is the Holiday Cookie Stroll. First, make sure you pick up a Festival Passport. Then, to participate, purchase any five cookies from the Holiday Cookie Stroll locations. Collect a matching stamp for each cookie your purchase. Then, bring your stamped Festival Passport to the Holiday Sweets and Treats kitchen in Showcase Plaza for a complimentary completer cookie and a cold glass of milk. Epcot’s Holiday Storytellers are a wonderful way to learn about holiday customs and stories from around the world. New this year, in between Morocco and France, is a Hanukkah Storyteller who shares legends, tells tales, and sings songs, highlighting Hanukkah celebrations throughout the world. In Norway, you can meet Sigrid as she tells the Christmas story, but is interrupted by Julenilssen, a sneaky and mischievous Christmas gnome. Italy presents La Befana, a witch who comes on the Eve of epiphany to give gifts to good children. In Japan, you will learn the customs of the Japanese New Year and the story of the Daruma doll. France’s Storyteller is Père Noël who shares the joy of Christmas with a story from a child. In the United Kingdom, you will meet Father Christmas who shares the traditions of the United Kingdom. Storytellers appear throughout the day and performance times can be found on the times guide and in the Festival Passport. Enjoy the sights and sounds of the nations of World Showcase, as each country’s holiday heritage comes to life amid joyful music and time-honored traditions. Returning again is JOYFUL! A Celebration of the Season. This performance features a blend of soul, Gospel, Jazz, and R&B Music to celebrate the Christmas and Kwanzaa like no other! Located at the Fountains of Nations Stage between Mouse Gear and Club Cool, there are several show times daily, check your times guide for performance times. In Germany, you’ll enjoy a German Christmas and a live band, Durch & Durch. In Mexico, you’ll find Las Posadas Celebration featuring dancers, piñata, and the music of Mariachi Cobre. In Canada, you’ll find the Canadian Holiday Voyageurs. Finally, The Voices of Liberty is an a cappella group that has been performing at the American Adventure pavilion for decades. Join them as they sing holiday favorites while dressed in their Dickens costumes. Check your times guide for exact performance times. Children and adults alike have the chance to visit with Santa and Mrs. Claus at the American Adventure pavilion. They are available throughout the day at specific times so be sure to check your times guide for when they will be appearing. This is a very popular spot, so be sure to line up early! One of the most popular Epcot traditions returns with new celebrity narrators in 2018. Helen Hunt, Alfonso Ribeiro, and Bart Millard join the lineup of returning favorites like Neil Patrick Harris, Whoopi Goldberg, and Gary Sinise. The Candlelight Processional is a retelling of the Christmas story as told by a celebrity narrator accompanied by 50-piece orchestra and a mass choir. 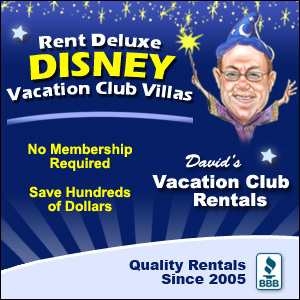 The show takes place at the America Gardens Theatre each evening at 5:00 p.m., 6:45 p.m. and 8:15 p.m. Nov. 22-December 30. For more details and the full celebrity, narrator list click here. Whether you are interested in learning about the customs and traditions of another country or trying out some traditional holiday foods from around the world, Epcot’s Holidays Around the World has something for everyone. With so many great storytellers, entertainment offerings, food, and the Candlelight Processional, you might need to visit more than once to fit in everything you want to see and do! 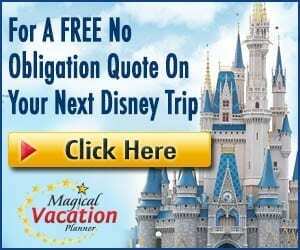 DisneyLists author Jenn S. also contributed to this article.